Note that the weather towards the north-east of the region is significantly cooler and wetter than in the south-west of the department. 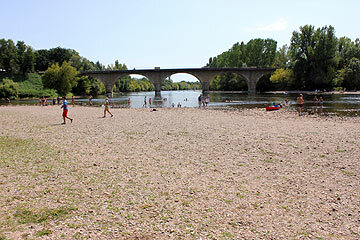 The summer months of July and August are, of course, the most popular times to visit the Dordogne. The weather is usually very good - temperatures are typically around 25-30 degrees, and rain is unusual although evening storms are quite common. Across the Dordogne Perigord region restaurants and attractions are all open and active, and many special events take place during these months - fairs, bodegas, fetes, medieval days etc. Evening markets are another great reason for visiting in the summer. Many of the Dordogne towns and villages have an evening market one evening a week. Tables and chairs are set out in the village square and local producers will sell you everything you need for a highly enjoyable meal al-fresco. Even paper plates and cutlery are provided and usually a local band will play as well adding to the ambience. A cheap and fun way to eat out. 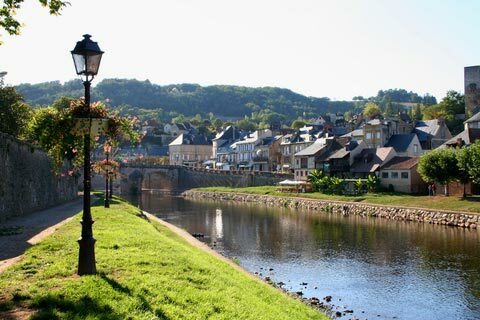 Outdoor activities such as swimming in the river and canoeing are very popular and many towns have an outdoor swimming pool if your gite or hotel doesn't have one. Limeuil has an excellent river beach. The downside is the sheer volume of visitors, which can lead to busy roads in 'Dordogne central' and sometimes queueing to get in to the major attractions. May, June and September are beautiful times of year to visit the region. The weather is almost always warm and sometimes as hot as high summer, although it is slightly more changeable so the chance of rain is slightly higher. It is very rare and unfortunate for a holiday to be ruined by rain in these months, although spring/autumn showers may occur. The roads are quieter and the attractions easier to visit, and most if not all restaurants will be open. In the spring, especially, the countryside is more lush and the scenery even more beautiful, since the daylight is slightly less harsh than in the summer. Prices for gites and villas will be approximately 40% less than in July and August. A perfect time for walking and cycling in the Dordogne, since the summer can be rather hot for these activities. A perfect time to visit some of the towns and villages that get especially busy in the mid summer such as Sarlat, Domme and Montignac. 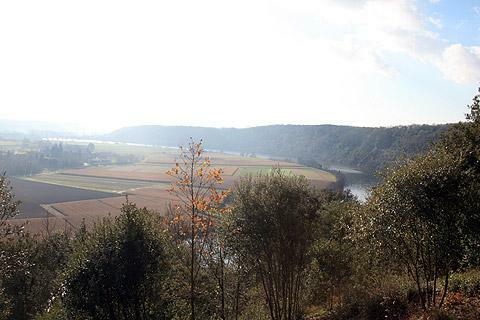 From October to April the Dordogne is quite a different place to that known by most visitors. The weather can still be very warm, but there is an increased chance of rain and cooler weather. During December - February it can be very cold (-5 to -10 at night is not uncommon) or very wet (not usually both at the same time). Many cafes and restaurants, and attractions, will be closed during this period. BUT. The roads will be almost completely quiet, the scenery just as beautiful. A sunny week in March with the blossom on the fruit trees can be magnificent. Dordogne and the Périgord in winter, with a frost on the ground, or even snow, or a mist rising in the valleys, can be very attractive. 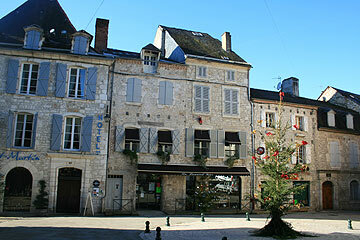 Some towns such as Bergerac and Sarlat have Christmas markets. These are small but generally nice to browse through. So I would not rule out visiting at this time of year - and many people book a villa for Christmas week and enjoy themselves around an open fire. You should be able to find a gîte or villa at prices some 70% less than summer-time prices. Negotiate with the owner, but check heating is included in the price. Most of the chateaux stay open in the winter eg Chateau de Castelnaud and the Chateau de Beynac. Many of the caves close in the winter but the Lascaux Caves remain open as does the Grotte du Grande Roc and some others. For an idea of special events that are taking place during your visit look at our guide to what's on. Forthcoming summer events are usually updated in April/May. See the current Dordogne weather.